Holy Places TV takes you to Jaffa; called for centuries, the gateway to the Holy Land, visit the Church of St. Peter. According to legend, the city would bear the name of Japheth, the third son of Noah, who built it after the Flood. 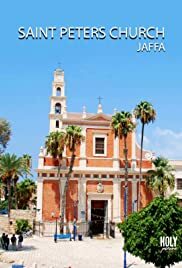 For other Jaffa or Yafo in Hebrew, would come from the word « Yofi » which means beauty and « Yaffa » name Israeli female, which means beautiful.